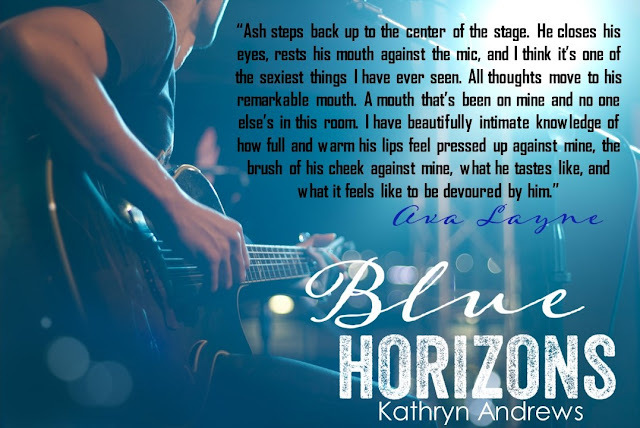 Happy Book Birthday to Blue Horizons (a Horizons novel) by Kathryn Andrews w/a rafflecopter giveaway! Music is my motivation. I’ve always believed that, because of it, I would be somebody. Somebody to someone, and something to myself.At age four, I picked up my grandfather’s acoustic guitar and, up until three weeks ago, I’ve never put it down. From a single chord to a full arrangement, music fed my soul. I craved it with every fiber of my being, but now, I just don’t know. That driving force that’s always pushed me has somehow stalled, along with the thrill, the passion, and the familiarity . . . it’s all gone. I’m beginning to worry that my love for music just isn’t enough.As the summer tour finally comes to an end, I head to the Blue Ridge Mountains instead of returning to Nashville. It’s here that I’ve always been able to lose myself amongst the solitude and the lake, but what I didn’t expect to find was her.Wild blonde hair, light blue eyes, and a laugh I find myself trying to coax from her has me completely enamored. She’s quiet, incredibly poised, and driven by secrets as big as the mountains around us. They’re what’s made her untouchable, and left me wanting to know more. Ava LayneThey say that life isn’t about how many breaths we take, but how many moments take our breath away. But what if those moments aren’t filled with happiness and love, but something dark and haunting? For me, it’s those moments that’ve shaped and taken over my life. I can’t change who I am, God knows I’ve tried, and, because of this, I’ve accepted the silver lining . . . I’m alive. OVER TEN YEARS ago my husband and I were driving from Chicago to Tampa and somewhere in Kentucky I remember seeing a billboard that was all black with five white words, “I do, therefore I am!” I’m certain that it was a Nike ad, but for me I found this to be completely profound.Take running for example. Most will say that a runner is someone who runs five days a week and runs under a ten minute mile pace. Well, I can tell you that I never run five days a week and on my best days my pace is an eleven minute mile. I have run quite a few half marathons and one full marathon. No matter what anyone says . . . I run, therefore I am a runner.I’ve taken this same thought and applied it to so many areas of my life: cooking, gardening, quilting, and yes . . . writing.I may not be culinary trained, but I love to cook and my family and friends loves to eat my food. I cook, therefore I am a chef! Previous postHappy Release Day to Duce (World’s End #2) by Kai Tyler w/a rafflecopter giveaway! 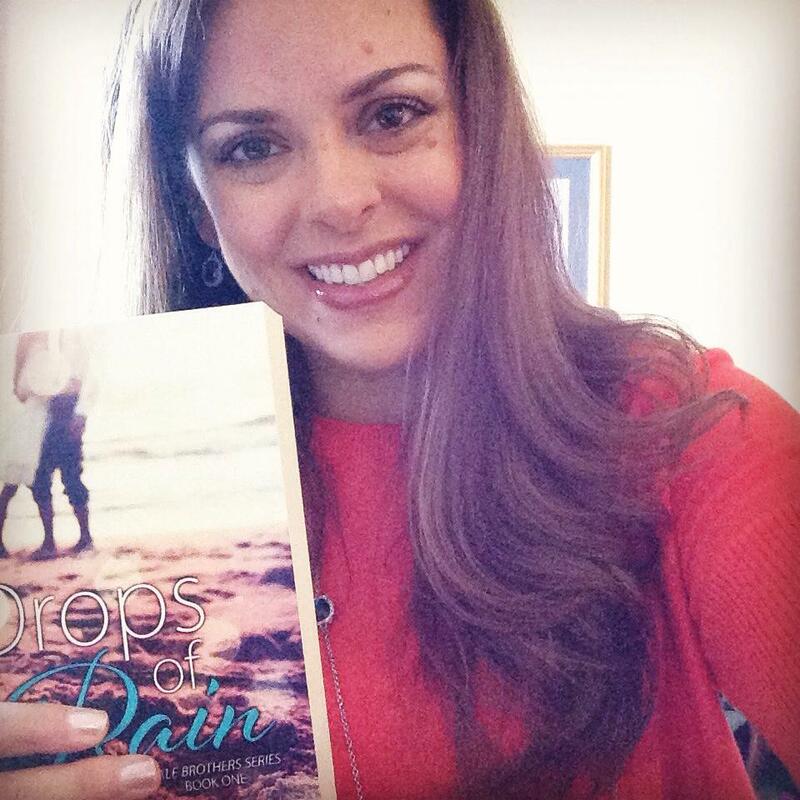 Book Trailer and Excerpt! Next postHappy Release Day to L.P. Dover’s Roped In (Armed & Dangerous #2) w/a rafflecopter giveaway!